“Closely related to appropriation is another word, love. Einstein said, “Love is a better master than duty.” This is often forgotten in many of the modern theories of education. Take cognitive science, for example. I don’t think the people who gave it that name meant any harm, but in psychology, cognitive means thinking as opposed to feelings, emotions, the unconscious, the personality, the motivation. Cognitive science divides off thinking as a separate thing. If you read the reports and look at the kind of work that is funded by government agencies, it’s cognitive. But they’re wrong. They’re wrong because the reason you need all those heavy-handed instructional methods is that you’re trying to teach people something they don’t want to learn. When they want to learn it, if you create the right intellectual environment, they learn it quickly and easily. So you can get 100 times more mileage by creating those conditions in which the children will appropriate knowledge by falling in love with it. A version of this piece was published as “M.I.T. Media Lab Epistemology and Learning Memo No. 2” (September 1990). Its content was based on a talk presented at Children in an Information Age: Opportunities for Creativity, Innovation, and New Activities (Sofia, Bulgaria, May 1987). Wow, I love this one. If I give this to my teen, he will use it against me to follow his passion for game design and quit high school, but I FREAK OUT!!! I forwarded this to my Christian Ed professor at the seminary where I once studied. This has strong resonance with what we studied. There is definitely a theological edge to this, or at least religious educators would do well to appropriate it. 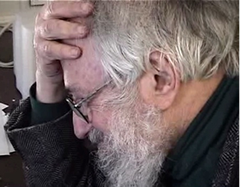 It strikes me that Papert’s use of the word “love” is meant to be deeper than a strong desire and enjoyment of learning. It’s not like how I “love” pizza, but more like how I love who I am and I love who you are when we create something together. Now wouldn’t that be a nice way to grow in faith?